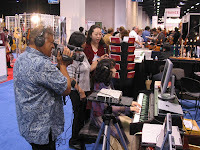 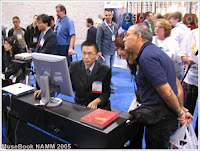 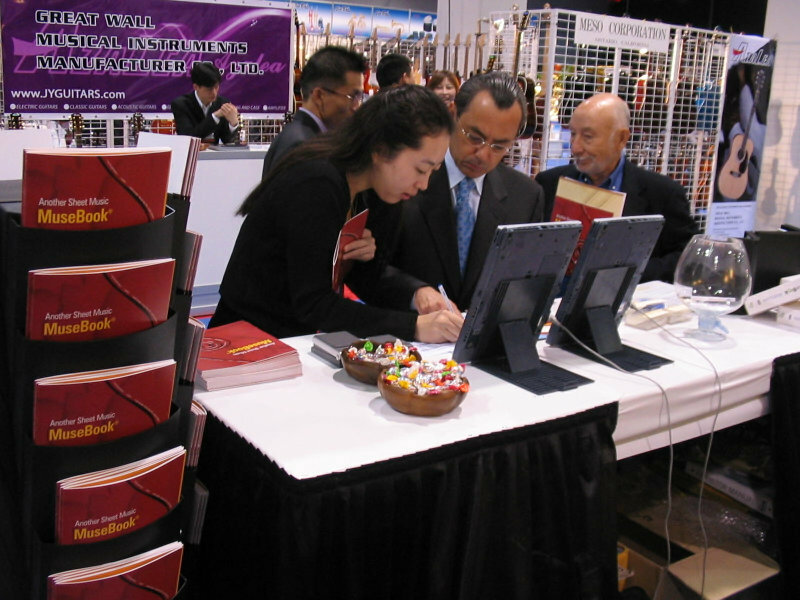 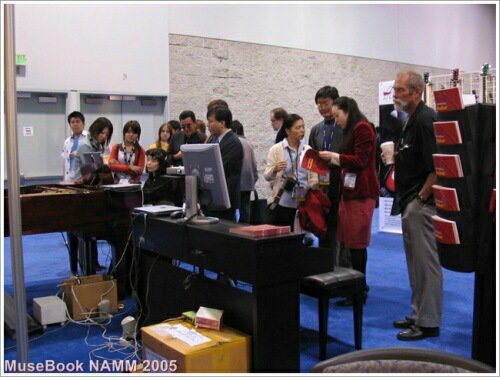 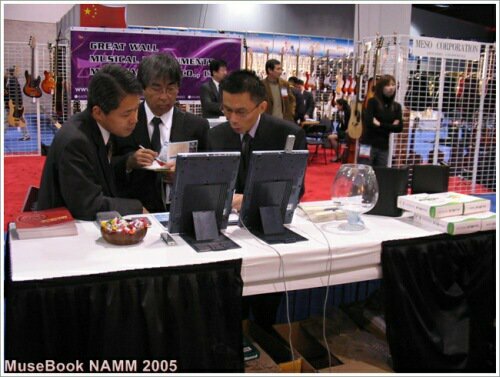 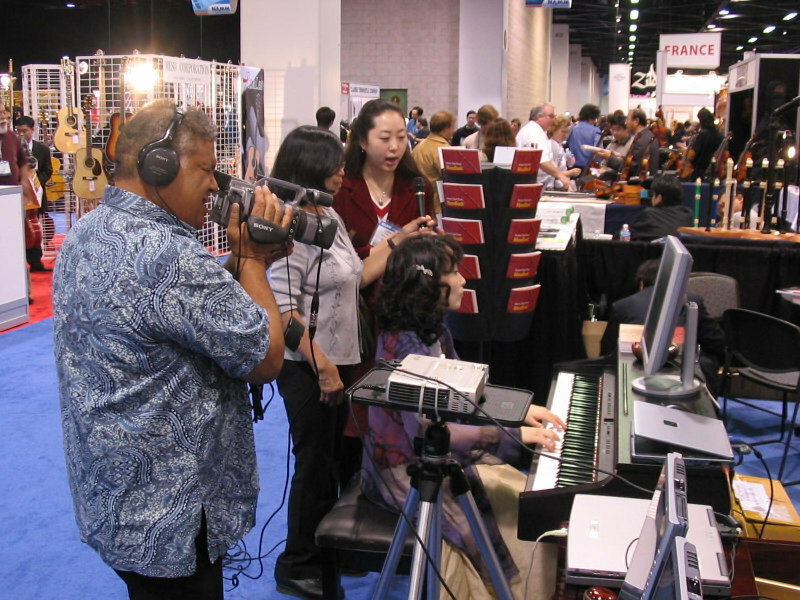 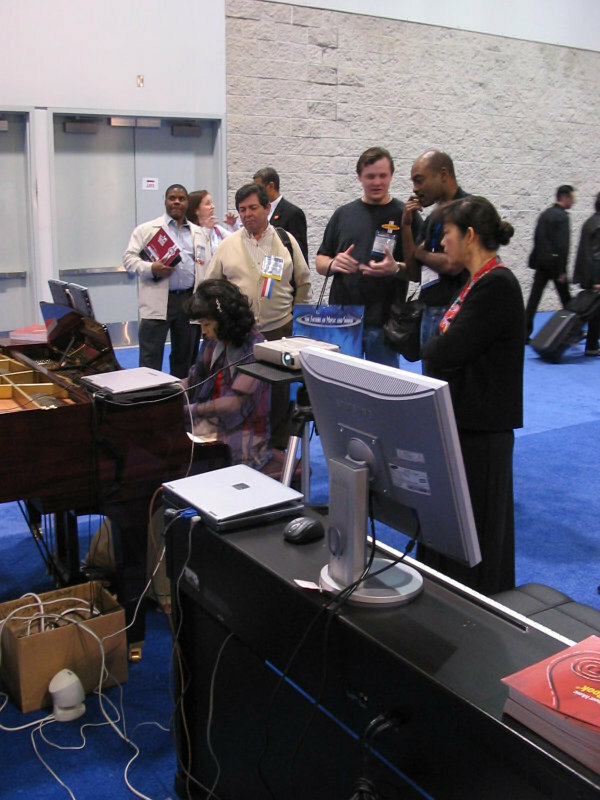 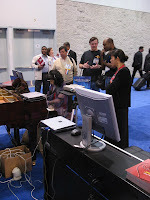 Thank you to everybody who has visited our booth and shown interests at NAMM 2005. 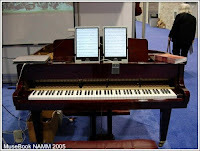 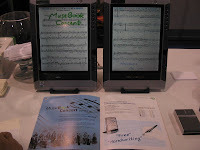 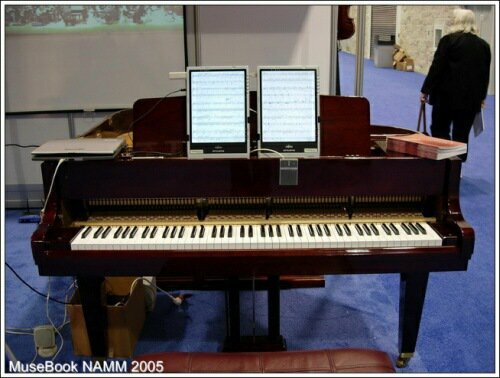 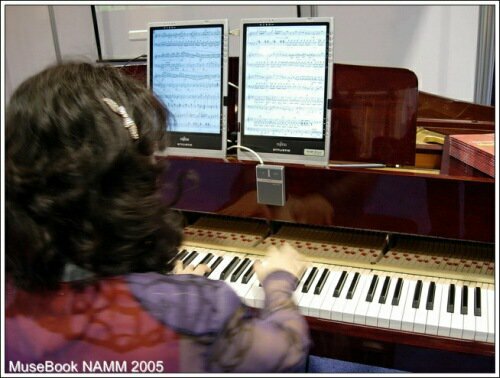 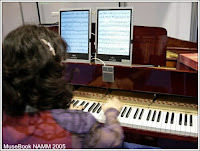 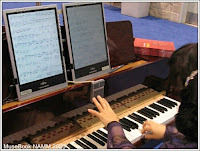 AMuseTec had unveiled another electronic music score "MuseBook Concert," which uses scanned sheet music and can be used for all instruments. 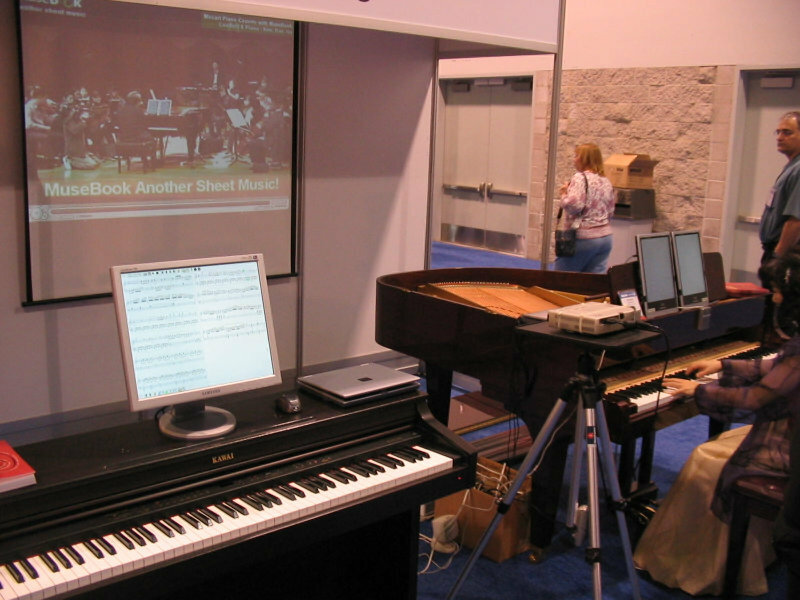 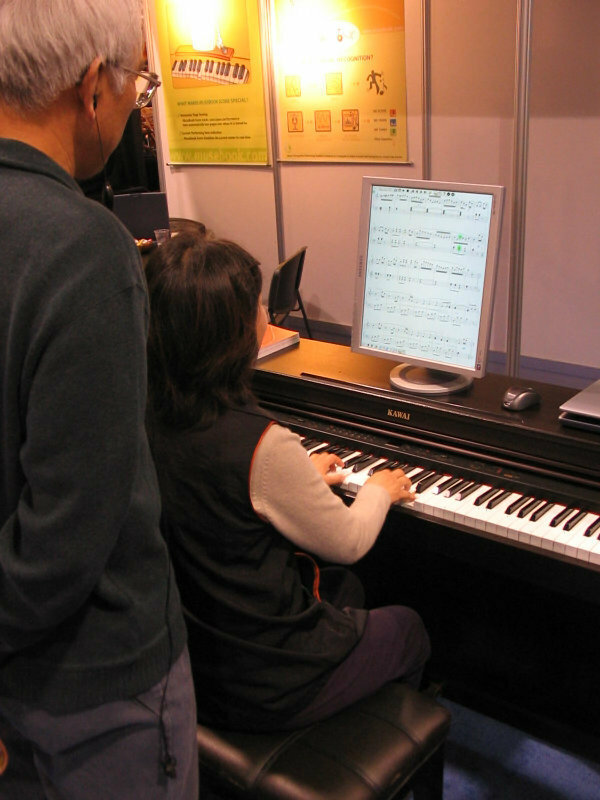 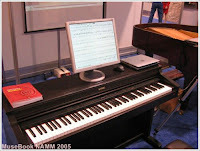 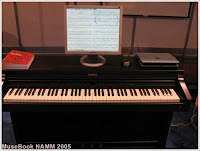 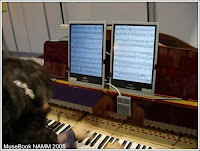 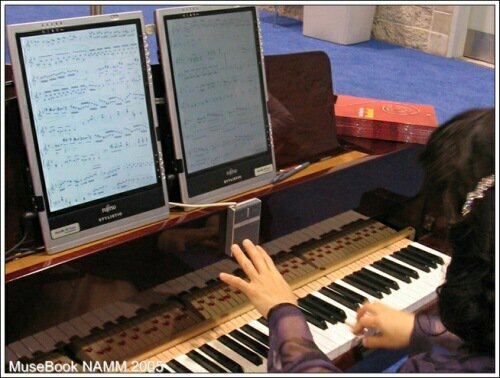 It is an electronic sheet music software that enables musicians to turn pages with either a wireless foot-pedal or a finger-switch. 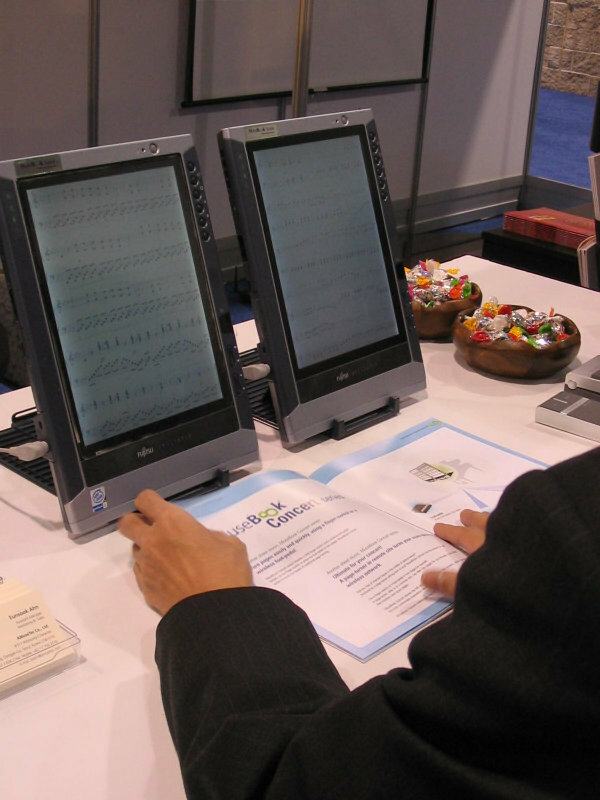 Even the players can sit a page turner in a remote site to let him or her turn pages through a monitoring computer using a wireless network. MuseBook Concert also allows users to make annotations in their own handwritings. 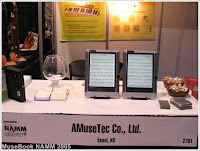 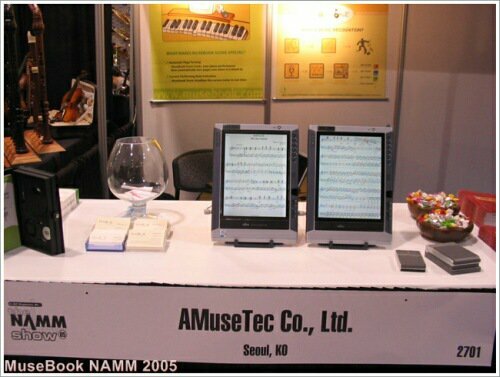 AMuseTec's MuseBook Score is the world's first intelligent electronic score which listens to piano performance and turns pages automatically. It also allows users to make annotations in their own handwritings. 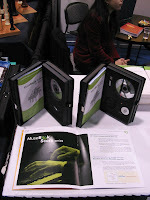 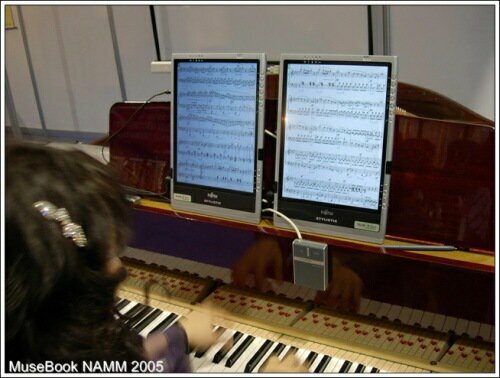 AMuseTec subdivided MuseBook Score for piano series into 4 products with affordable prices. 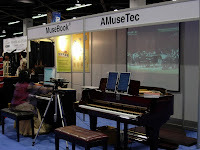 AMuseTec also unveiled MuseBook Score for Organ which turns pages automatically and let players prelocate capture control commands on scores, so that they don't have to manually change stops when playing. 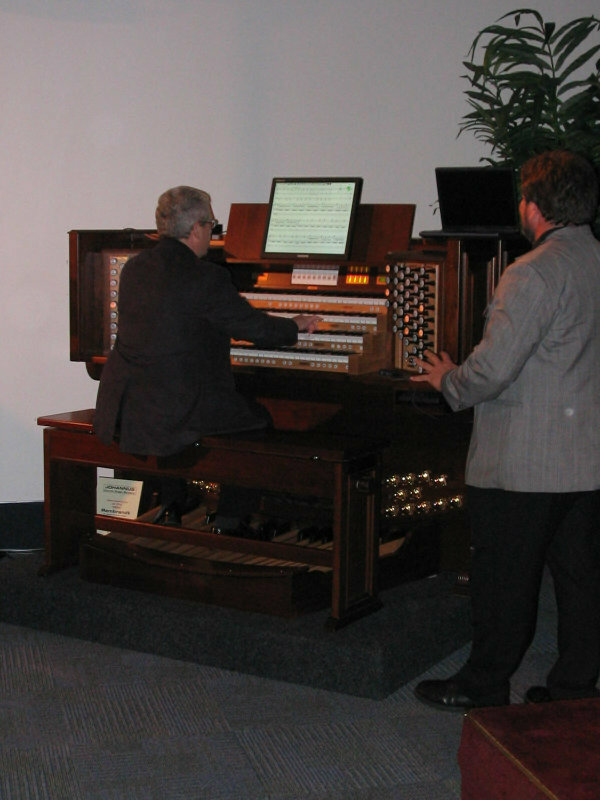 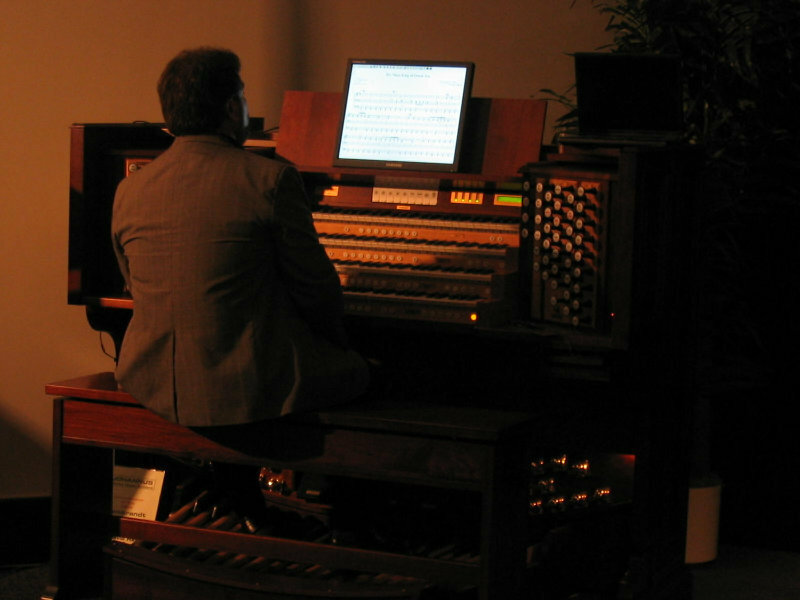 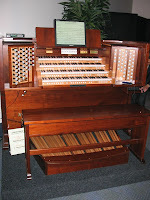 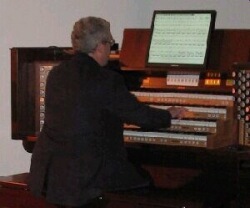 With MuseBook Score for Organ, organists can add annotations in their own handwritings.